Now also available in the rat! 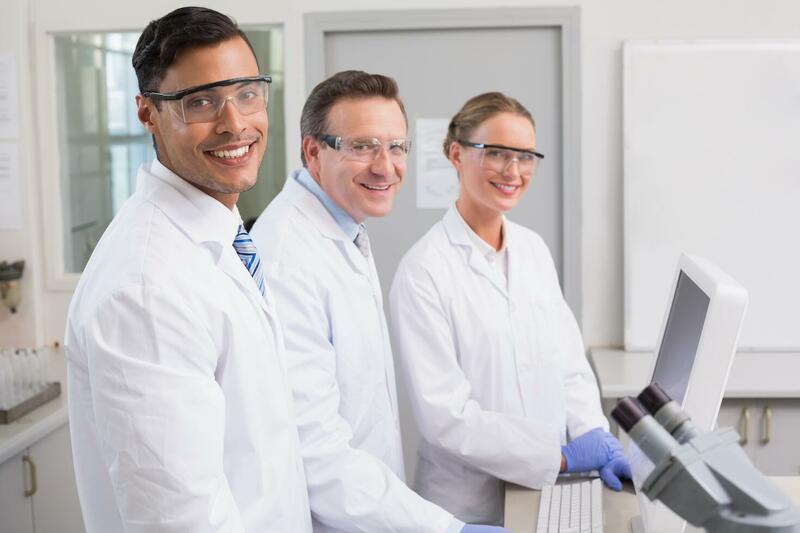 Recent research in psoriasis has been focused on the IL-23/Th17 pathway. IL-23 stimulates and promotes differentiation of Th17 cells. IL-23 is a heterodimeric cytokine with two subunits. It drives the Th17 response by its binding and signaling through its receptor subunits. When the IL-23R is activated, it promotes the development of Th17 cells and the resulting production of cytokines such as IL-17A, IL-17F, and IL-22 - all which are involved in mediating psoriasiform changes. The IL-23 induced psoriasis model involves the injection of IL-23 into the ear of C57Bl/6 and is dependent on IL-22 for the development of dermal inflammation and acanthosis. IL-22 induces keratinocyte proliferation and epidermal hyperplasia contributing to epidermis thickening. 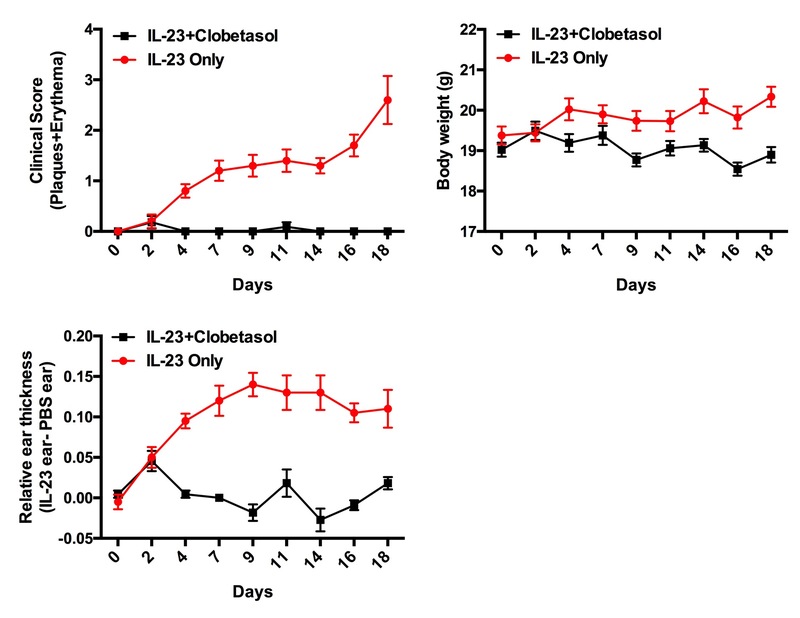 Representative data figures for mouse IL-23-induced psoriasis.